PTA never comments on, endorses or supports individual candidates for office. 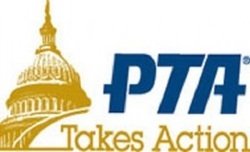 PTA is a non-partisan association with a long track record of speaking up for all children and connecting families, schools and communities. PROPOSITION 51 -- SUPPORT School Bonds. Funding for K-12 School and Community College Facilities. Initiative Statutory Amendment. PTA supports safe and up to-date schools. The $9 billion in bond money will go for new construction and modernization of K-12 public schools, charter schools, vocational-education facilities and California community colleges. More information. PROPOSITION 55 -- SUPPORT Tax Extension to Fund Education and Healthcare. Initiative Constitutional Amendment. This initiative extends the temporary personal-income tax increases on high-income earners. Money will go to schools and community colleges, budget reserves/debt payments and health programs. About half of the estimated tax money would go to schools (about $4 billion). If these taxes disappear, it would hurt our already underfunded education system. More information. PROPOSITION 56 -- SUPPORT Cigarette Tax to Fund Healthcare, Tobacco Use Prevention, Research, and Law Enforcement. Initiative Constitutional Amendment and Statute. We know that education and smoking cessation programs work to save lives by preventing teens --who have been shown to be sensitive to the price of tobacco products -- from choosing to smoke in the first place. This increases the cigarette tax by $2 per pack, with equivalent increase on other tobacco products and electronic cigarettes containing nicotine. The money would go to increase funding for existing health-care programs, tobacco-use prevention/control programs, tobacco-related disease research and law enforcement, physician training, dental-disease prevention programs and administration.More information. PROPOSITION 58 -- SUPPORT SB 1174 (Chapter 753, Statutes of 2014), Lara. The California Education for a Global Economy Initiative (California EdGE). In 1998, voters approved Proposition 227 requiring that all students be taught in English, and that English learners be taught in sheltered English courses. PTA opposed Proposition 227 because it forced English Language Learners (ELLs) to take English-only classes regardless of students’ individual needs. In addition, it took away parents’ right to choose what is best for their children. This initiative deletes the sheltered English provisions. It requires students be taught in programs with access to core academic standards, and that school districts provide effective and appropriate methods for language acquisition. Parents and guardians may choose language-acquisition programs that best meet the needs of their children. More information. PROPOSITION 63 -- SUPPORT Firearms. Ammunition Sales. Initiative Statute. We believe that limiting access to the kinds of guns and ammunition that can kill large amounts of people in a short amount of time is common sense. We must fight gun violence by limiting the types and number of guns and ammunition available to those who would use them to do harm to others. Reasonable, common-sense gun laws reduce gun deaths and injuries, keep guns away from criminals and fight illegal gun trafficking. More information. More information on how California State PTA takes positions and other election information is available atcapta.org, as well as on elections do's and don'ts plus a tool to research your local ballot and polling place. This message is being sent to all PTA officers, subscribers to legislative alerts and key policy leaders. In a welcome step in the right direction, Federal Judge Kimberley Mueller ruled that the California Department of Education (CDE) will not have to release its largest database -- called the "California Longitudinal Pupil Achievement Data System" or "CALPADS" -- which contains the most sensitive, personal and vulnerable information on California's current and former public-school students. The order does not address the type of information CDE can or cannot release if requested by the plaintiffs or whether any of that information can be redacted. The judge's decision was supported by all parties who will be working together over the next month to determine a process. At the related hearing, Judge Mueller noted she has received "voluminous" numbers of objection forms from parents and students concerned about the possible release of personal information. While the forms are not opt-out forms and will not be considered by the court as such, she emphasized that the objection forms reinforced the need to protect students’ information. Concerned parents and students who attend or attended California public schools since Jan. 1, 2008, may still submit forms. Objection forms will be accepted until April 1. Forms received will be included in the court's official documentation. President Justine Fischer offered insights on behalf of the state’s largest child-advocacy organization: “The governor’s proposed budget increases per-pupil funding and corrects many historical fiscal inequities that hurt public education during years of deficit spending. Increasing funding by $368 per pupil and meeting 95 percent of the Local Control Funding Formula (LCFF) commitment demonstrates a sound investment in the children of our state. The governor’s proposal is an excellent start for discussions with the Legislature, particularly regarding early childhood learning, school facilities and a long-term vision for state and local accountability. ​Want to share your initial thoughts about the state budget proposal? Contact the California State PTA at info@capta.org. Click here to: Read the full summary of the Governor’s Budget Proposal. California State PTA has taken a support position on Senate Bill 277 (Pan). Currently, children entering the school system or child care are required to be immunized against various communicable diseases unless they medically cannot receive immunizations, or unless immunization is contrary to personal beliefs. SB 277 would eliminate the personal belief exemption and have all medically eligible children be immunized against vaccine-preventable diseases thus protecting vulnerable children. PTA, both nationally and in California, has been a strong supporter of vaccinations. Beginning in 1925, PTA was a driving force behind providing check-ups to identify health problems in 5- to 6-year-olds entering school for the first time. This became the main vehicle for immunizing children against diseases. The members of California State PTA have adopted two resolutions -- Immunization Awareness and Education Programs and Measles (Rubeola*), Mumps and Rubella Vaccinations -- that are the basis for our authority to support SB 277. At its March meeting, the Legislative Action Committee as part of our decision-making process further considered the input of our members, including those who wish to retain the personal-belief vaccine exemption. We also were informed by the statement issued by Rob Ring, chief science officer for Autism Speaks: "Over the last two decades, extensive research has asked whether there is any link between childhood vaccinations and autism. The results of this research are clear: Vaccines do not cause autism. We urge that all children be fully vaccinated." For more on SB 277, please contact Health Advocate Cathy Hall at chall@capta.org or Director of Legislation Kathy Moffat at legislation@capta.org. To learn more about healthcare and immunizations, visit capta.org. Please urge Governor Brown to sign important legislation on chronic truancy. Your voice is needed now to call the Governor and urge him to sign important legislation on chronic truancy, sponsored by California's Attorney General. Chronic absence and truancy affects more than 1.8 million California students and impacts their ability to succeed in school, avoid gangs, graduate and become productive members of society. California State PTA urges the Governor to sign the following bills to give local schools and districts the tools they need to tackle chronic absence and truancy. AB 1643 (Buchanan) – Requires every county or consortium of counties to have a School Attendance Review Board (SARB), ensuring that all students have access to the services that a SARB can provide. AB 1672 (Holden) – Requires local SARBs to provide more detailed information to county offices of education using an expanded SARB report form so that schools, districts and counties can evaluate the success of truancy intervention efforts. AB 1866 (Bocanegra) – Enhances the California Department of Education's (CDE's) student record system to include fields on truancy and absenteeism. AB 2141 (Hall) – Requires a state or local authority conducting a truancy-related proceeding involving a student and/or student's parent or legal guardian to report the outcome of the referral to the referring agency. CALL or EMAIL the Governor's office today and urge him to support this important package of bills to help end chronic absence and truancy! Contact information and a sample phone script and email have been provided for you at the links above. If you'd like more detailed information, view a copy of the Attorney General's report titled In School and On Track and a fact sheet about these bills.